River Past Audio Capture is a easy-to-use audio recording software. 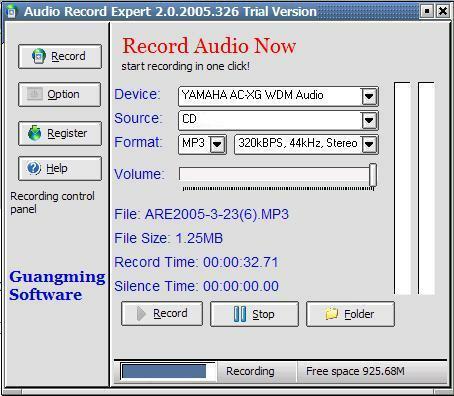 Record audio from sound card (microphone, line-in, or speakers) or DV camcorder to AIF, AVI, MKA, MP3, OGG Vorbis, WAV or WMA. Choose the codec, sample rate, channel, bits per sample, and bitrate. For WMA, you can also choose from a list of profiles. You can schedule unattended recording. Can be used as universal audio converter. Recording volume can be adjusted manually.